Online Marketing Resources will complete your Website Development using the following steps. Upload Finalized Website – Launch! Website development will not be considered complete until you are happy with it. We will work with you each step of the way to ensure your ideas and expectations are being met. 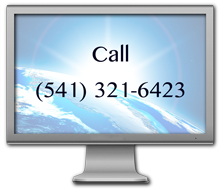 You may elect to have us host your website or take it to a host of your choice. If you are looking to achieve certain goals with an online presence, we can help establish a system for tracking and analyzing goal benchmarks through our Web Analytics services.